It was fun to meet up with Dr. Henry Blackburn and his wife, Stacy Richardson. Henry Blackburn is continuing to write his book on The History of Epidemiology. 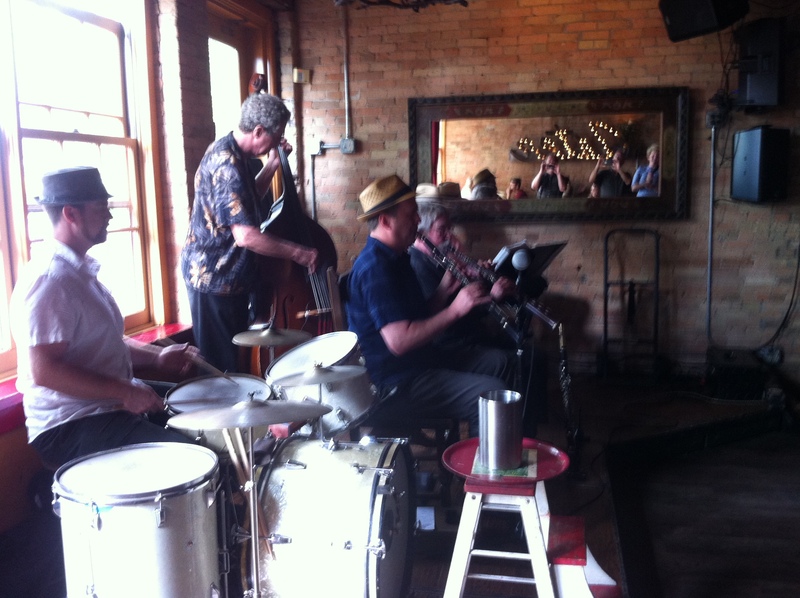 At the brunch at the Aster cafe, Henry sat in with Patty and the Buttons, one of the premier jazz groups in Minneapolis. 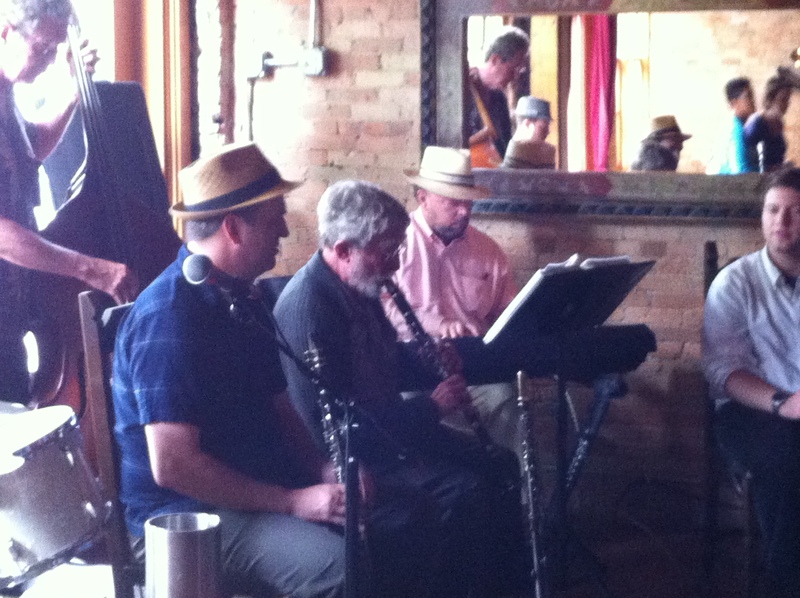 We were especially lucky because Henry sat in for two sets. Stacy is a science writer and journalist. The Seven Countries study that officially started in 1958 by Dr. Keys was a huge undertaking that followed 13,000 men in 16 regions of seven countries. The study was carefully performed and the differences in the blood cholesterol concentrations and in the rates of CHD between certain populations were fairly large. But the criticisms by certain scientists that Seven Countries was an ecological epidemiology study and involved populations with different and possibly unique genetic backgrounds cast some doubt at the time concerning the results observed by Dr. Keys and his colleagues. 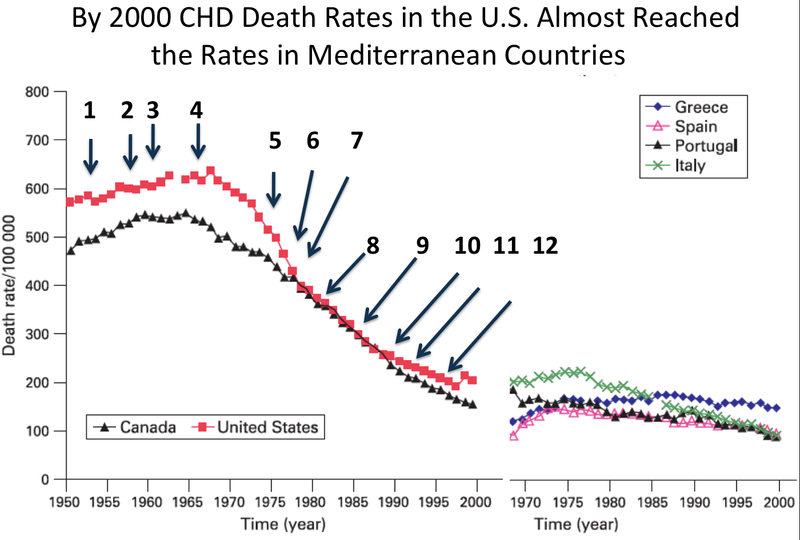 Now the analysis of the changes in the rates of CHD across many countries throughout the world during the past 40 to 50 years provides strong support that the results and conclusions reached by Ancel Keys were absolutely correct. Rates of CHD have decreased in many countries where dietary intervention was implemented and stressed. 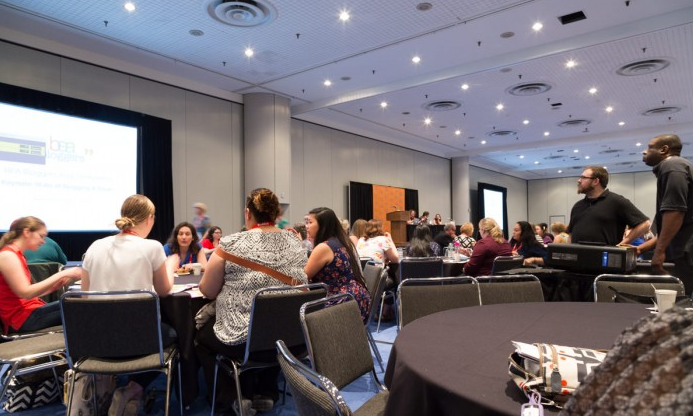 Ashley was one of the speakers at Blogger Con, which was a conference that ran concurrently with the first day of BEA. Ashley is an expert at WordPress and her talk was fantastic! Her talk definitely showed that she has an immense amount of knowledge concerning the WordPress platform. Follow her blog if you wish to learn tips about WordPress! On Wednesday I went to the bloggers conference and found it to be extremely interesting as I have 3 blogs and I am trying to get more out of them. What was the most positive thing about the conference was meeting a whole group of fairly young people who were very nice and had very interesting tidbits to say about blogging and technology. On Thursday I went to the exhibits and that was like being in a candy store. 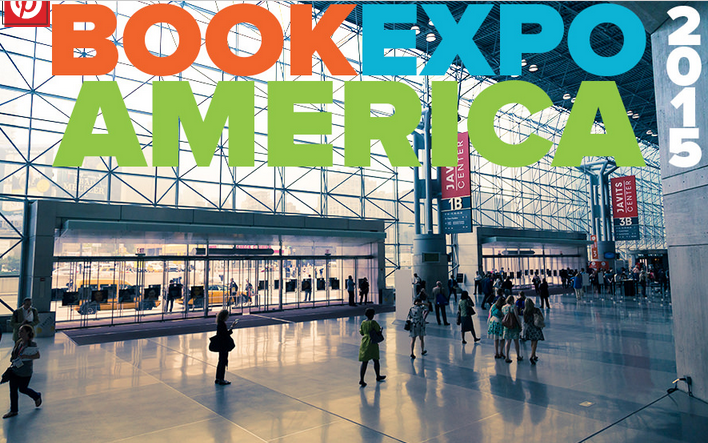 Never having attended a book expo like this, I was overwhelmed. My goal was to find a small publisher for my second book. I was also looking for some publicity companies for Genius and Partnership. I didn’t mean to visit with any authors and get signed books, but that all changed when I happened on Mika Brzezinski totally alone at a signing table and I walked up to her and she graciously signed her new book for me. Later I received signed books from two new mystery novel writers and had great short conversations with them and one asked me to contact him. Another goal was assess the state of legacy publishing versus self-publishing, and in fact, I had productive conversations with two senior editors of small publishing companies. 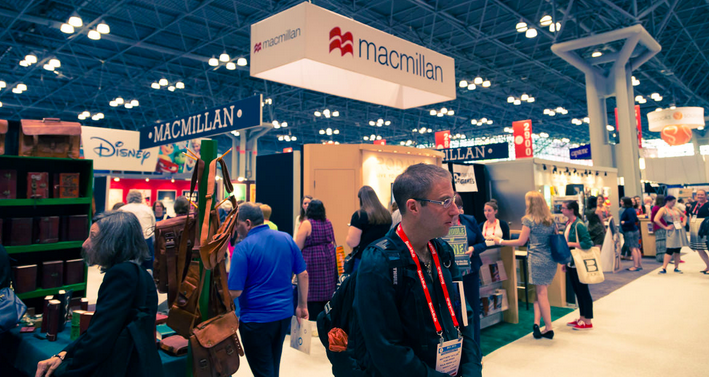 I showed Genius and Partnership, produced with the wonderful Pressbooks program/platform, to quite a few publishing professionals at the Book Expo, and most were fairly positive about its look and design. I went around and tried to find books that are also full of color images like Genius and Partnership and, except for art books with beautiful color plates, the classic 6 x 9 non-fiction book either has a small section of color images inserted into the book, or the images throughout the book are all black and white. Only one publisher that I browsed through had anything similar to what I did with Genius and Partnership. A couple of people who looked at Genius and Partnership thought it looked “self-published.” I was completely insulted but I have to have an open mind as what I like may be not what most of the world likes. Of course, they could just be jealous too. But there were others who were very impressed. That made me feel better. Why did I Self-Publish Genius and Partnership? I self-published Genius and Partnership for several reasons. First and foremost was that I could not get any University Academic Presses interested in the book. A typical response was, “It does not fit into our catalog.” I translated this as saying, “We don’t think it is a compelling story.” But when you think about it, how many editors would be knowledgeable enough concerning the history of the research that identified blood cholesterol as a risk factor for coronary heart disease to be able to evaluate the book? Although Rutgers University Press was interested in the book, they did not wish to publish it because they concentrate on the social sciences and not on biological sciences. However, the editor there gave me very good advice and feedback and I am thankful to him for this. Another important consideration is the design of the book. The book contains many color photographs and diagrams, and University Academic Presses are extremely worried about the copyright issues involved in a book with many images. And finally, the costs of printing a book with many color images are considerable. Most major publishes use the cheapest paper for the interior of their books (take a look at the books on your bookshelf). Books that have color images throughout the entire interior require high quality paper and the cost of color printing is very high. Therefore, major publishers will not be able to make sufficient money on a book like Genius and Partnership. Taking all this in mind, I decided to self-publish Genius and Partnership. And if you buy the printed book you will be surprised how nice the color printing on high quality paper came out. But the downside of the book is that the cost of the printed book on Amazon is $31.99. Because of the above issues, if you buy a printed book from Amazon, I receive a royalty of less than a dollar per book! That is why I set the price of the Ebook at $4.99. When you buy the Ebook, you get the color images and, if read it on your computer when on the internet, you have the ability to instantly see most of the full articles referenced in the book by clicking on the hyperlinks! Therefore, the Ebook version of Genius and Partnership is definitely a bargain! The new cover for Genius and Partnership was designed in just a few days. What happened is that I emailed my friend, Peter Serko, and wrote that the previous cover was disliked by almost everyone who saw it. I attached a photo of the original front cover. I did not even ask him to attempt a new cover. That night I received several versions of the above cover. How was it that Pete designed the cover so fast? Well it turned out that for dinner that night Pete and his wife, Sue, were eating a salad containing olives, lettuce, red pepper, and onions covered with olive oil and balsamic vinegar. Pete, who is an artist and photographer, happened to catch a shot of the salad and captured what turned out to be an amazing dream-like photograph. Also in the photograph was a glass of wine and a bottle in the background that I thought at first was a bottle of wine. I emailed back to Pete that we would need to get permission from the winery to use their bottle of wine on the cover. Pete sent back a closeup of the bottle, which is shown below. 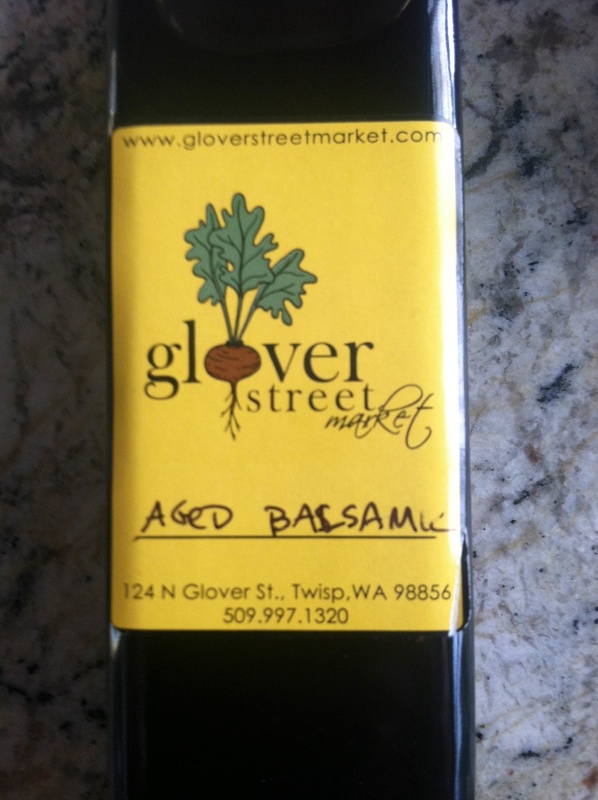 The bottle was, in fact, aged balsamic vinegar from the Glover Street Market in Twisp, WA. If you have time, please investigate the website of this market because it is one of the nicest that I know. http://www.gloverstreetmarket.com I contacted the owner, Molly Patterson, and she graciously gave me permission to use the bottle in the photograph in the cover. So that is the story of how the new cover for Genius and Partnership was designed. If you wish to have any book cover designed for your books, please contact Pete (PeterSerko.com). What is Ancel Keys, a chemical or vitamin? I don’t want to read about cholesterol! What does cholesterol have to do with the Mediterranean Diet? There is so much on Margaret Keys in the book, why isn’t she on the cover. Are you sexist? 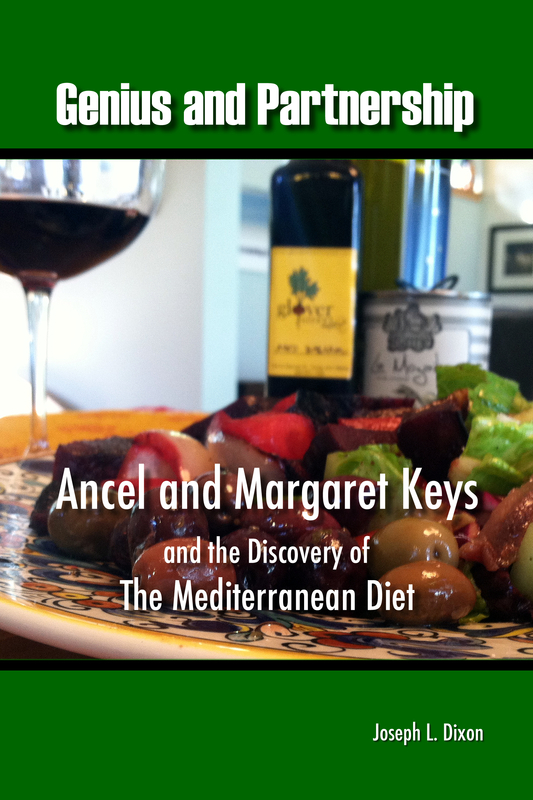 Therefore, I changed the title to Genius and Partnership: Ancel and Margaret Keys and the Discovery of the Mediterranean Diet. 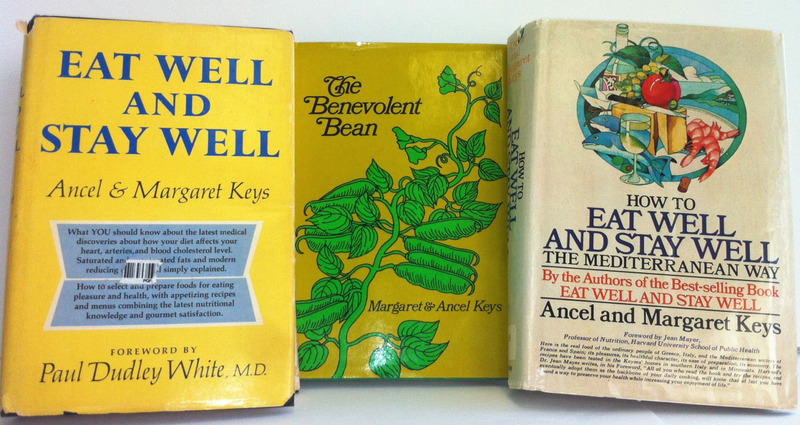 Why do I consider Ancel Keys a true genius? He formulated ready-to-eat meals (called K-rations) for the American armed forces during World War II. He led a major study during World War II on starvation that provided important information on how to treat starved prisoners and civilians. Ancel Keys became aware of the increase in heart attacks occurring in apparently healthy Americans and he decided to study the causes of coronary heart disease. To do this Dr. Keys followed two major strategies: 1. In his laboratory at the University of Minnesota he developed methods for investigating lipids and coronary heart disease and set in motion a series of well controlled feeding studies in men in order to precisely measure the effects of different dietary fats on blood cholesterol concentration. 2. He traveled the world (often with Margaret Keys) to gather insights into the causes of coronary artery disease, and overtime, these travels led to the formation of a team of international collaborators that helped Dr. Keys begin and carry out the Seven Countries Study. The Seven Countries Study was not a small study– it followed 13,000 men in seven countries during a time before computers, email, faxes, and rapid travel by jet airplane–most of the trans-Atlantic travel was carried out by ocean liner. In this aspect of his approach, Dr. Keys developed a whole new discipline of scientific study – the epidemiological study. But Dr. Keys and Margaret did not stop at developing new knowledge about the causes of a devastating disease and writing scientific articles that report the findings, they went further, and disseminated their knowledge by writing three cookbooks that would help Americans to eat healthier. The writing of these cookbooks completed the circle of scientific investigation by distilling their findings into practical advice.